Do you want to improve your English vocabulary without spending a bunch of money on a class? Or maybe you’ve just always wanted to start learning another language, but you’re not sure how. Nowadays, there are so many great resources online for language learning. 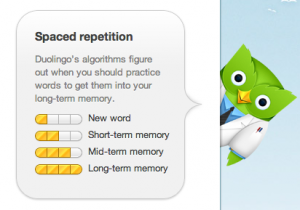 A new great online program for language learning is Duolingo. It offers English for speakers of Spanish, Italian and Portuguese, as well as Spanish, German, French, Italian, and Portuguese for English speakers. This amazing program is offered without any costs or advertisements because while you progress through the course, you are simultaneously helping translate documents and websites from the target language (the language that you’re learning) to your native tongue. For vocabulary building, Duolingo pairs perfectly with Anki (a free vocabulary learning program). So let’s start out by looking at Duolingo before we see how you can use it with Anki to significantly improve your vocabulary. This program is great whether you are just starting to learn a language, or you are more advanced and just want to learn some new words and grammar. Once you create an account and choose your language, you will be able to choose the most basic lesson. However, if you already know some of the language, scroll down to one of the keyholes (it will say shortcut), which will take you to a test to see if you’re ready to move on to a higher level. You are allowed to take the test three times. You will move through different lessons, which deal with grammar (e.g. present verbs, possessive pronouns) and specific topics (e.g. animals, food, religion). The great thing about Duolingo is that it covers all the critical areas of the language: reading, writing, listening and pronunciation. During the lessons, Duolingo notifies you every time you learn a new word. From your homepage you can then click on the vocabulary tab. There all of the words that you’ve learned so far are listed along with the “strength” of each word (one gold square means it’s a brand new word, two means it’s in your short-term memory, three in your mid-term memory and four in your long-term memory). Be sure to read our Anki tutorial before finishing this article. One of the problems with Duolingo is that there is not much review. This is where Anki is very useful. Create a deck called “Duolingo” (or you can do different themes like adjectives, verbs, animals, etc.). Once you’ve done a few lessons, go to the vocabulary section and find the words that are most challenging for you, and add them into your various Anki decks. By studying these daily, you will remember the new vocabulary you learn in Duolingo much better and longer, making for much more effective learning. A good strategy is to do a couple Duolingo lessons every other day, while using Anki to review and memorize new vocabulary everyday, especially because you can use Anki any time you have some free time (even on your phone or tablet). Once you complete any lesson, you can go back and help with related translations, even if you’re a beginner. This is a great way to see how the language is used in practical settings and contribute to the Duolingo community. 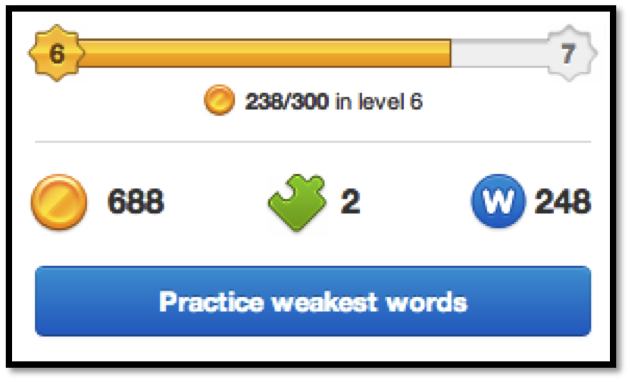 On the right side of your home screen, there is a button that says, “Practice weakest words”. If you click this, then you are brought to a timed test in which you try to answer as many questions as you can, and each correct answer gives you a few extra seconds. This is a fun language learning game and is another great way to strengthen your vocabulary. 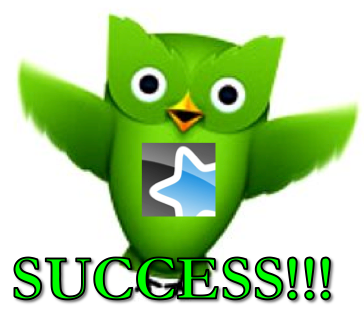 If your other Facebook friends use Duolingo, you can compete with them to get the best scores. Duolingo is also available for iPhone (an Android app is still under development). It’s important to find fun, creative ways to practice you English (and other languages) every day. Duolingo is a great example, and when used with Anki, your vocabulary will improve a ton! It’s up to you to make daily habits of learning and practicing English, but it doesn’t have to be difficult. Finding ways to make English part of your daily lifestyle is the best way to improve your skills and start to speak more like a native speaker. If you haven’t already, join the RLE Community. It’s a great way to incorporate English into something you already do and to meet and communicate with more than 5,000 people from over 50 countries. Great tips Ethan..I hadn't heard of duolingo but I always tell people to use anki. I just signed up for Duolingo a number of days ago. Some things might have changed since you wrote this article because it allows me to practice with or without a timer. I'm not sure why you say there is no review when there is a practice section. But Anki sounds interesting and I may try that out in addition to Duolingo. hello friends , how are you. Thanks for your input! Sorry for such a late reply. I probably do need to make changes to this as the website gets updated ^^. I STUDY ENGLISH HELP SPEAK BY SKYPE CLSOCLA ADD. it´s good and very interesting!